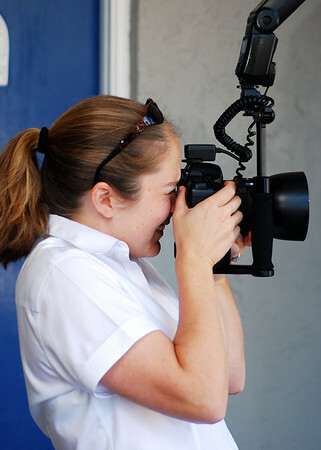 Looking for a photographer for your Sarasota, FL area wedding? We offer the best value, the most convenient booking and post-event access to your photos, lots of local experience, professionalism, and top-notch camera gear. Wondering about our equipment? The FAQ was getting a little long, so we moved the technical stuff here! We do not subcontract our weddings. 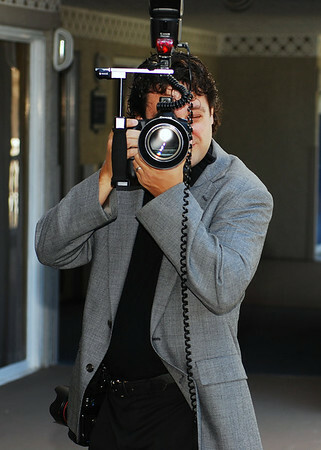 We (Jason and Allyson) will be the ones capturing the photos at your event. Period. How much time is required for formal photos? In order to get plenty of good photos of you with family, friends, and your bridal party, as well as photos of just the two of you alone,please allow at least one hour for formal photos between the ceremony and reception. (This is a great time for a "cocktail hour" for your guests!) We also typically capture formal photos of the bridesmaids, groomsmen, and bride/groom separately before the ceremony whenever possible. If you allow some time between "getting ready" and the actual ceremony, this will save time after the ceremony! Of course, it's your day! So please, plan accordingly depending on the experience you are looking for! Also, be mindful of sunset times! Have you worked at our event locations before? How did it work out? We have lots of experience in Sarasota and the surrounding areas. We have photographed weddings at many popular Sarasota wedding locations, including Plantation, Boca Grande, Rotonda, Selby Gardens, Crosley Mansion, Ringling Cà d'Zan, University Park, Bradenton Country Club, the Chelsea Center, Michael's on East, the Venetian River Club, Laurel Oak Country Club, Lido Beach Resort, the Ritz Carlton Beach Club, IMG Academy and Lakewood Ranch. Chances are, we have already been to your wedding location and are familiar with it. We have worked with many of the top wedding caterers and DJs in the Sarasota, Manatee, and Charlotte County areas. We are flexible and can work around the needs of your other vendors. Should our event last longer than scheduled, will you stay? Is there an extra charge? Since we provide full day coverage, we do not charge by the hour. We are there from the moment the bride begins getting ready until you say "good night." How many photos are included? Our wedding collection does not include physical prints as proofs, however our print prices on our website are significantly lower than other area photographers, making it affordable for you and your friends/family to order as many prints as you like. You can also order digital files of individual photos or your entire wedding day. Will you accept a list of specific photos to be taken? We work with you and your wedding party to pose your formal photos both at the ceremony and the reception. We work with the officiant and the DJ to be in the best possible location for your photos throughout your event. We both capture photos during the ceremony, so you won't be stuck with just one angle or point of view. For formal shots and throughout the remainder of your event, Jason is assisted by Allyson to ensure no detail or request is left undone. If you have questions or concerns during your event, you can approach either one of us at any time.We can take special requests for posed or candid photos and are happy to work off a list as well. How long after the event will the images be ready? Online images are generally available within 2 weeks of your event. We will email you a link as soon as they are ready! Albums take longer, depending on how long it takes you to make your photo selections. Once that has occurred, it takes several weeks for books to arrive. With our online ordering system you are free to order your photos when you want, how you want. It’s convenient because we upload the originals for you to save you time. We have the ability to enhance the photos you select after you place an order, so they'll be just perfect by the time you receive them! You can share the album with anybody, or nobody. We can even password protect it by request, free of charge. How much assistance will you provide in planning our album? If you decide to purchase a wedding album, you can select your photos or you can choose to leave it up to us. The albums themselves are designed by ZookiePro - they do a great job! Do you and your assistant require a meal? YES! Because we provide full coverage service, often our day can last 10 hours or more! For this reason, we ask that you please include us in your seating chart for dinner and include us in your meal cost calculations as "guests." This is a win-win situation for everyone. We really work up an appetite throughout the day/night and need something more than the "vendor meal" provided by most caterers, but more importantly, sitting with your guests keeps us in the center of the action where we can see everything that is going on and not miss any important moments at your reception!Thank you for helping us be at the center of the action on your big day! Please ask via our contact form!